I was thinking about how at various times in the past as an avatar in Second Life I’ve put myself in the position to “bleed”. Bleeding for me is when my real life emotions transcend into my avatar. For the most part, I’m very guarded, around my real life emotions and allowing them to flow from my essence to my keyboard and to someone else. Someone has to really get to know me, for me to allow them access to my “bleeding” via the combination to the encryption code I use. While I’m acutely aware when I “bleed” I always know when I make someone “bleed” too. “Bleeding” is beyond any form of rational analytical analysis, it’s the part of us that’s “under our skin” beneath both our physical and digital self, it’s the part of us that is intuitive, sensitive and emotional; it is the part of us that scares most of us as it’s the part of us we will only have at the end when the physical won’t matter at all. 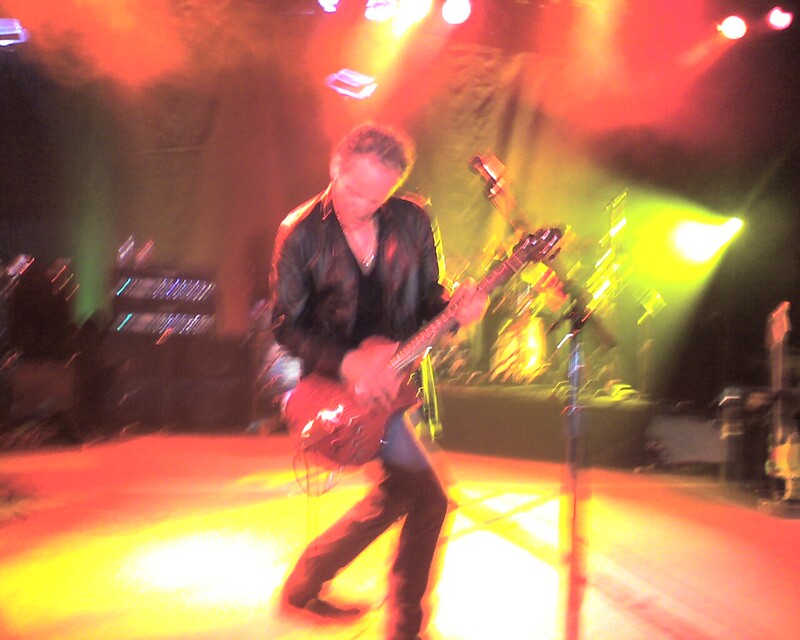 Which brings me, in a round about fashion, to the song by Lindsey Buckingham “Bleed to Love Her” and his solo tour of a few year back called the “Under my Skin” tour, which I was fortunate enough to see in a venue that only holds about 900 people. Lindsey is an amazing song writer, guitar player, composure and producer. At the concert I attended I was right at the front of the low-level stage and as such able to see Lindsey perform the following song I’ve found via YouTube. Hope you enjoy this version! I’ll include a copy of a picture I took of Lindsay at the concert I attended in the summer of 2007. I used my Palm Treo to take the picture at the time so the quality isn’t up to 2011 standards of course, however I like the surreal look to the picture and it’s relationship to what’s beneath our skin. This entry was posted in Art, Music, Music Video, Second Life, Virtual Reality. Bookmark the permalink.